Callie text me on Wednesday and let me know that the New Mexico Off Highway Vehicle Alliance (NMOHVA) was doing their annual meetup in Sipapu this weekend. It's a huge group of adventure riders that get together and do various rides, time trials and races. I wasn't planning on participating in any of that but I thought it would be a good excuse to get out of town for the weekend and also get a nice motorcycle ride in. 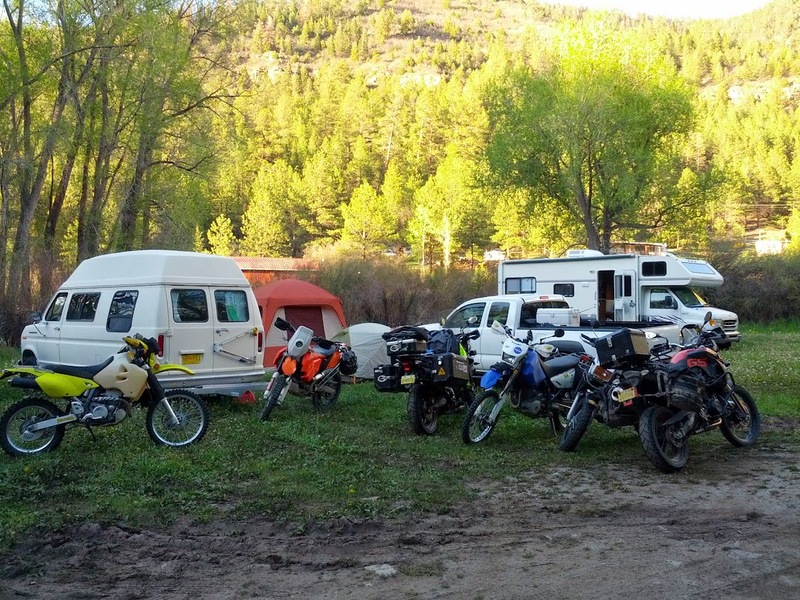 Rather than participate in some of the group rides (since they were pretty much all extreme off-road stuff), I said I'd go up for Friday night to hang out and camp. 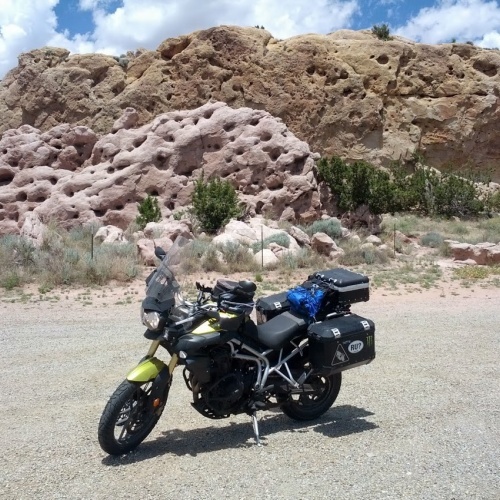 Callie and I met in Pojoaque around 4:30pm and rode the High Road to Taos up to the Sipapu camping area. The views along the ride were amazing and fortunately the roads weren't too crowded. 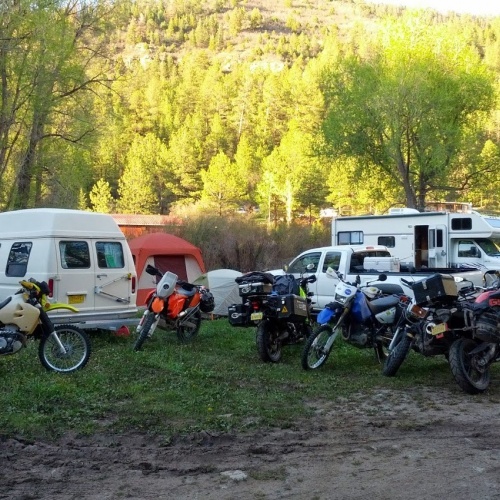 We got to the campground and met up with a bunch of other people who were there for the event. I got my tent ready and ate some food that I had brought up. All of the other people had tons of food so I got to sample a bunch of theirs as well. After a few beers and sitting by the campfire for a couple hours I was tired and got ready for bed. It was extremely cold and took me a while to fall asleep. I woke up, made some coffee and had some instant oatmeal while everyone was getting ready. Everyone hung out for a little while and gave me some advice about how I should get home. Rather than backtrack the way I came in yesterday they said to take NM Route 518 to Mora and then cut down to Las Vegas. 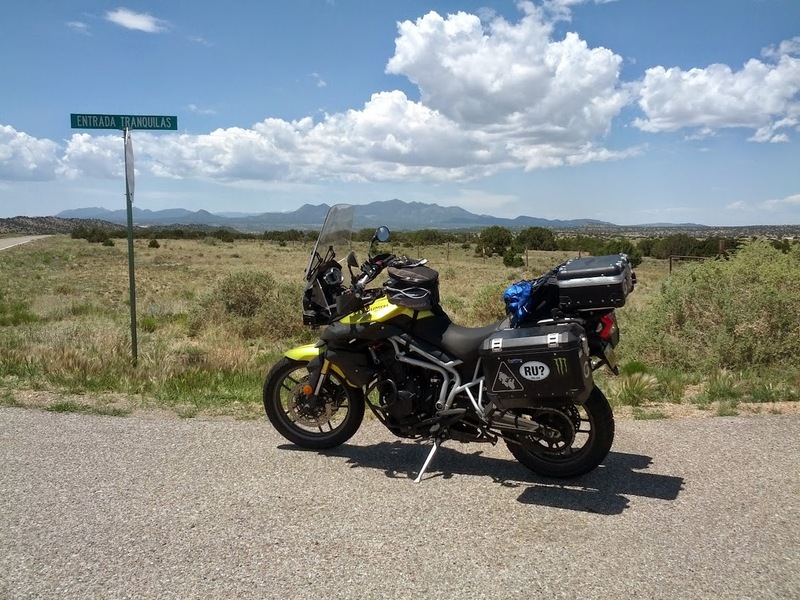 From there, I'd take I-25 for about an hour before getting on some more back roads and cutting over to the Turquoise Trail. The idea sounded good so I packed up my tent and got my motorcycle ready before having a breakfast burrito and heading out. The ride from Sipapu to Mora was amazing. 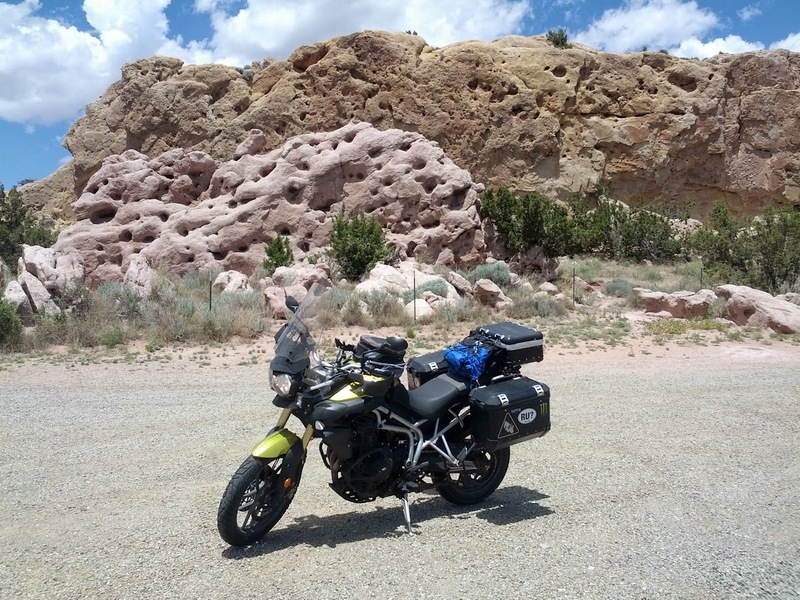 It reminded me a lot of riding in southern Colorado with all the trees, streams, winding roads and amazing views. I lucked out again and avoided any real traffic so I was able to enjoy the ride a lot. 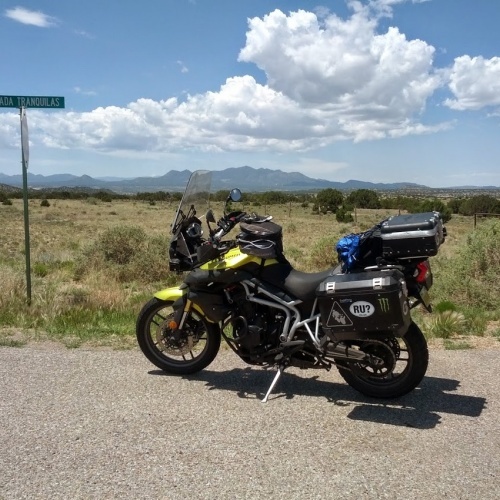 I fueled up in Las Vegas, NM and then hit I-25 until I reached US 285 and took that down to NM Route 41 to Galliesto where I caught NM Route 42 to take me to the Turquoise Trail. I stopped a few times for photos but wished I would have stopped earlier in the day between Sipapu and Mora since the views there were even better. I made pretty good time and got home around 1:30 this afternoon. That ride really made me want to get out and do more day trips around the state!